Earlier this year at Farnborough International Airshow, the Prime Minister, Theresa May launched the Women in Aviation and Aerospace Charter as part of an Aerospace Sector Deal. The Charter is a pledge for gender balance across the aviation and aerospace industries. Tomorrow, 13 October 2018 marks the fourth official Girls in Aviation day, an international event that aims to introduce girls to aviation and aerospace, which historically has had few women participating. These events and the recognition to promote the aviation and aerospace sectors to girls as well as strive for gender balance is so important. It not only promotes equality and diversity across the workforce, but it also provides an industry of opportunity for businesses. For the past decade, women have been out-performing men at every level of education and it is no secret that that a more diverse workforce leads to a more productive one. Evidence from the Department for Business, Energy and Industrial Strategy has shown that bridging the gender pay gap could add £150 billion to the UK economy by 2025. Steps being taken by the Government such as the modern industrial strategy and gender pay gap reporting have helped business shift priorities towards a more diverse workforce and although the change is not swift, it is positive to see the Government focusing on equality and diversity and working in collaboration with employers to achieve this. But change also has to come from creating a pipeline from the bottom for girls and women; this shouldn’t just start from entry-level into a profession but through engaging with young people whilst they’re at school and university. We can show that historically male-dominated sectors don’t have to be male-dominated at all. 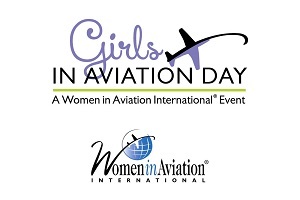 Girls in Aviation day starts that pipeline by encouraging girls to learn more about the aviation and aerospace industries and promotes the exciting careers that exist in these sectors. We’re only four years in and we can already see a shift in how girls and young women approach aviation and aerospace. There is more work to be done, but by working collaboratively with the Government on the step changes businesses can make, we will be celebrating more and more girls and women starting their careers in aviation.